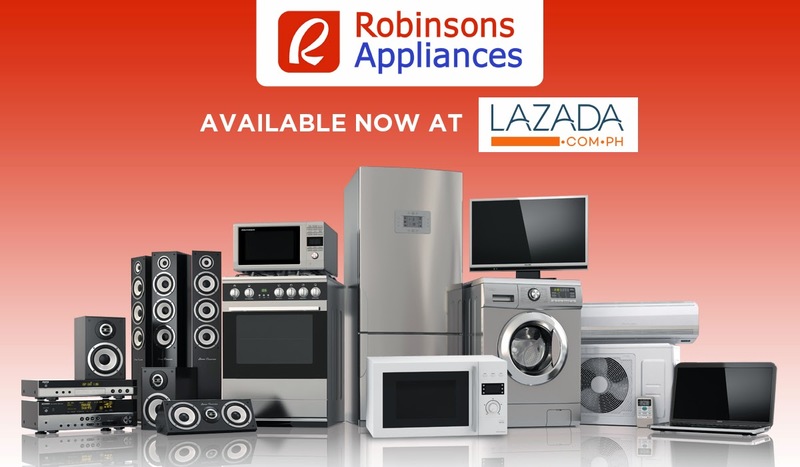 Making its debut in the e-Commerce field, Robinson’s Appliances kicks-off with its assortment spanning from TVs, audio/video gadgets, appliances, laptops, tablets, and even point and shoot cameras – all being sold in Lazada via Lazada.com.ph/Robinsons-appliances/with introductory discounts of as much as 47%. With the recent partnership between Robinson’s Appliances and Lazada.com.ph, it is expected that more and more Filipinos will soon enjoy Robinson’s Appliances through the effortless and risk-free e-commerce functions as offered by Lazada.com.ph. To know more about the latest offerings and deals from Robinson’s Appliances in Lazada, subscribe to the Facebook Fanpage of Lazada Philippines (www.facebook.com/LazadaPhilippines) and visit the Lazada Philippines website.